Input text: The [garden] backdrop. 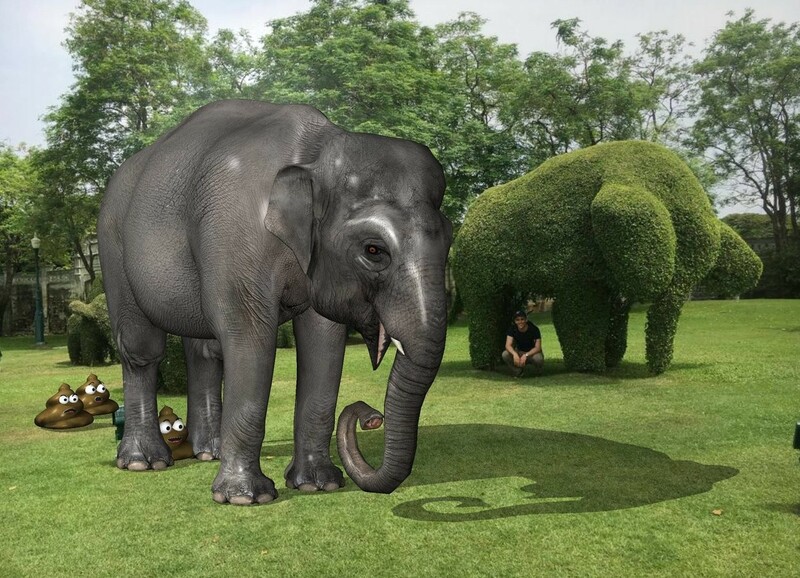 The small elephant. the shadow plane. 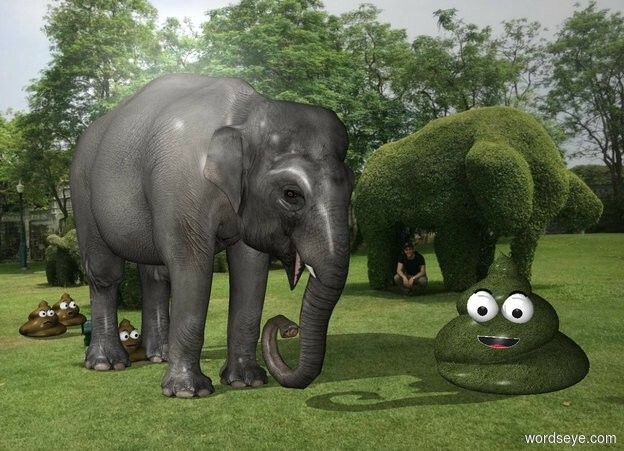 the poop is under the elephant. it is -1 feet behind the elephant. a second poop is 2 feet behind the poop. a third poop is behind and to the right of the second poop.